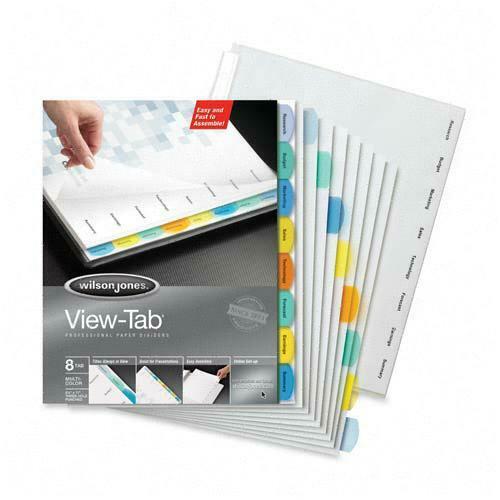 View-Tab Paper Dividers offer translucent tabs for a professional, contemporary appearance. Title sleeve positions titles so they are always in view. Reinforced paper tab sheets prevent tearing. Free templates are available to use any paper and printer to create custom tab titles.